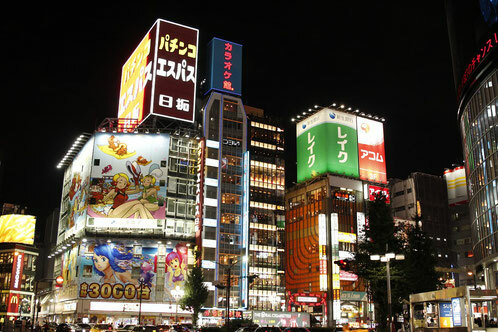 Once in a Lifetime: Top 5 Things to do in Tokyo. One million bright advertisements are killing my retina while the smell of joss sticks, curry and charcoal is calling for attention from my overwhelmed nose. Somewhere between plastic melodies and little wind chimes you can hear the dark sound of a ringing bell from the altar of a temple. There is not this famous building or that well-known place in Tokyo you absolutely have to see like the Statue of Liberty in New York or the Eiffel Tower in Paris. 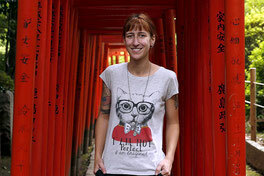 Tokyo is more like a puzzle of tiny alleys, traditional places and ultra-modern insanity. If you only have one life you definitely should see and try the following five things in this city. Shrines and temples. There are hundreds of them in Tokyo. At first, you are impressed by every building. But then it becomes confusing. To me the most interesting shrine was Senso-ji in Asakusa. The massive red gate at the entrance is so majestic that you believe it must be the shrine itself. 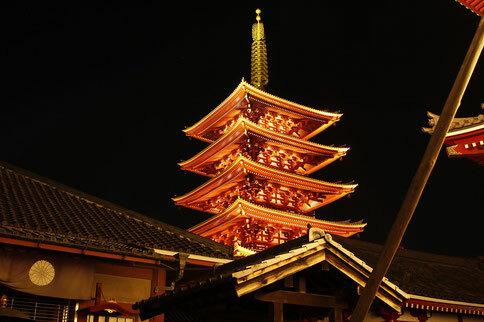 A five storied pagoda with a golden roof reaches for the sky. In the courtyard you can pay 100 Yen ($0,80 (09/2017)) and shake a metal box. After some time a key is falling out of the box. Each key belongs to a special drawer. In your drawer you’ll find a sheet that tells you about your future. It can be good or bad. Take the good future home and leave the bad at the shrine. 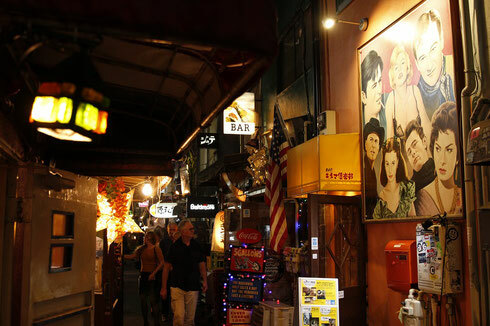 The Golden Gai in Shinjuku is its own tiny planet. Thick smoke is hanging in the air. Chicken and charcoal, fire and onions. Shiny Lanterns are hanging from the rotten rooftops and cables are wired around everywhere. Most of the restaurants have only space for five to ten people. Because of that in some of them you need to pay an entrance fee even before you had one bite. It is around 500 to 1000 Yen ($4 to $8). It’s an area far away from the ultra-modern skyscrapers of a metropolis and even very interesting at daylight. You can find tons of crazy details like cute cat graffiti, little blue lanterns, plants and even a chandelier hanging from a wall. You simply have to see a big city from above! To me it’s important that I am able to see all my favorite buildings around. That means that I can not be on top of one of those buildings. 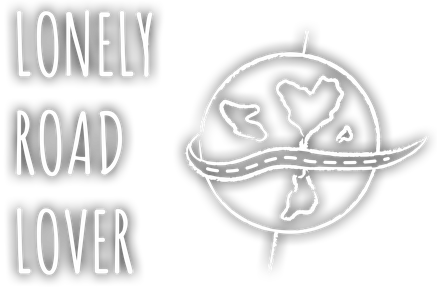 I had to make this decision also in New York when I went up the Rockefeller Center instead of the Empire State Building. 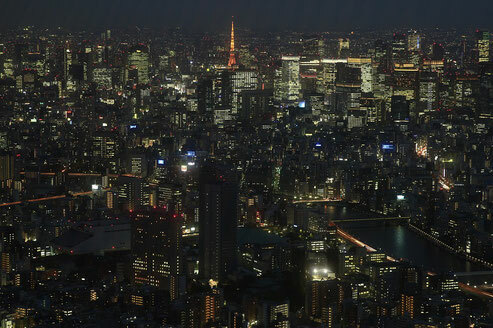 In Tokyo, I chose the Tokyo Skytree to see Downtown and the Tokyo Tower from above. It is round about 2000 feet tall. I recommend going up to the Tembo Deck at 1100 feet (2000 Yen/$18 (09/2017). There is another platform at 1500 feet but it costs another 1000 Yen ($8) – and the view from Tembo Deck is more than impressive yet. You don’t need a jacket because there is a glass front and a roof. It’s not possible to make a reservation but there is a Fast Lane Ticket for 3000 Yen ($27) so you can skip the regular line. I recommend going on weekdays in the evening – then you need no expensive Fast Lane Ticket because even the regular line is done in two minutes. One of the most famous places of Tokyo: The Shibuya crossing. 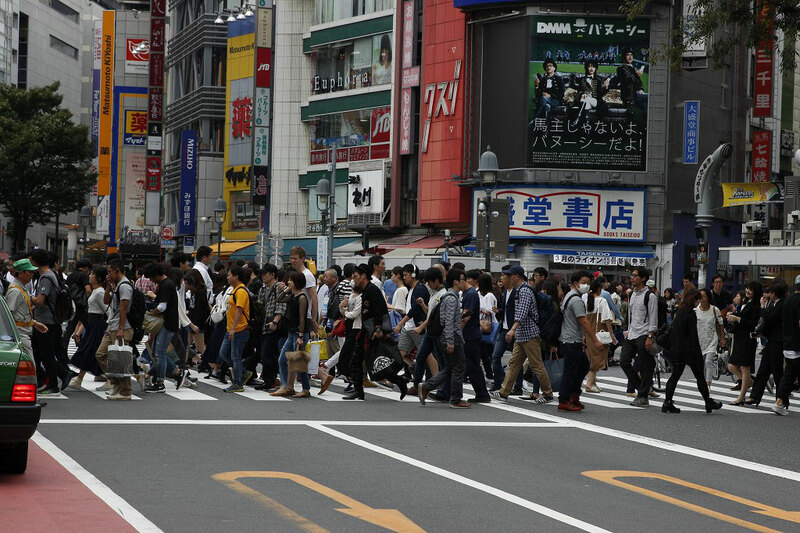 Up to 15.000 people are crossing the street every time the light turns green. Crazy music and weird advertisement all around. There’s even enough time to take selfies in the middle of the road. 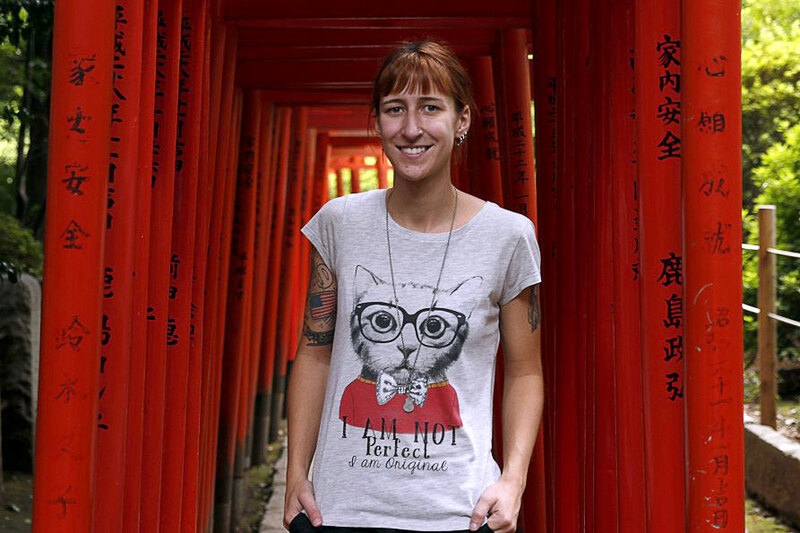 And don’t worry: You won’t be lost because everything is super orderly – like nearly everything in Japan. ► Queue, wait and walk – feel like partying on a festival by simply crossing a street! What do Japanese people do after the last train has left the station around midnight and the next one comes in 5 hours? Yeah, right! Singing karaoke. For hours. Not in those huge clubs with a huge disgrace in front of 100 people. No, you can rent tiny rooms in tall buildings that are just built to sing in. You’ll have sofas, a screen and microphones. And even disco lights. There you can escalate with friends by shouting along with Robbie Williams, Marilyn Manson and Queen without feeling embarrassed. Quick tip: Rent a room around 6 or 7 pm. It’s much cheaper than later in the evening after the last train departed. I recommend going to Karaoke no Tetsujin. You can choose English language on the screens – although the people are hard to convince speaking English. But with gestures and laughter you will tear this barrier easily down. To me it was a very important thing because singing karaoke has always been on my bucket list.